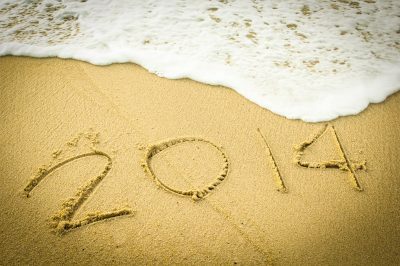 In 2013 I had more travel experiences than in any year gone by in my 25 years on the planet. Most of these trips were in order to deliver my talk on Asperger Syndrome ( entitled ‘ Does my AS look big in this’) around the Republic of Ireland where I live. As many young adults with AS do not travel on trains and boats and planes on their own I thought it might be interesting to document my travels in an article to inspire or warn others who have Asperger Syndrome or Dyspraxia or related conditions. In particular I thought it would be good to let others know what experiences I have had and how they affected me. Any experience involving new procedures and new people is a big challenge to most of us. Interactions with hotel staff and airport security are amongst the trickiest encounters we will have in life. When something was good I have named the hotel but if it was bad I have kept it anonymous. The day before I left for Galway I had to oversee the emptying of my septic tank so I wished I’d said “ You’re wrong, its just like at home!” The other lowlight of my stay there was a hot tap bath handle that I couldn’t seem to switch on – it felt like it was stuck. But the Porter could move it for some reason. I must not know my own lack of strength or perhaps the Dyspraxia was to blame! In February I stayed at a hotel near Luton airport, England. It was a very basic hotel and I had to ask Reception to provide a bath mat which they advertised as part of the room deal. But one which they didn’t have in the end. Why advertise something and then fail to provide it. In the morning it was a ‘help-yourself’ buffet. I sensed annoyance so I sat down and kept my head down for the rest of breakfast. One of the conclusions from my trips is for autistic travellers to find out what kind of breakfast is provided. Sitting down and getting served is much less stressful than the Buffet breakfast. There’s no point having a relaxing day if you spend all night worrying about breakfast. The other option is for staff to be trained to assist people who are autistic. I stayed in Port Laois a couple of weeks later (early march) at the more modern Kilishin hotel. The staff here were very friendly and happy to help. I even struck up a conversation with the barman at the hotel bar when I was paying for my food that evening. It was also really good when I came back to the hotel after doing my talk at the local Education Centre, I had previously ordered a taxi for the following morning and as I came in the door the receptionist recognising me called over to tell me that had been booked. Which is very good service for them to remember who you are from a few hours earlier! These little things make a big difference – especially when you are a bit socially awkward as we aspies tend to be. Then it was back to Galway later in March to where I stayed before. You might be asking yourself why I would go back to the whistling toilet after last time but the fact is its only 49.99 euro a night and it’s near to the Centre where I do the talks. I came in to the room this second time and found a smaller room than last time with a shower. Now I thought to myself part of the relaxation process to get me in the right frame of mind for the talks and a nice bath is part of the process so hesitantly I went to the front desk and asked could I have a room with a bath. They said yes and there was no charge. The toilet unfortunately seemed to have the same whistling problem as the other one but I wasn’t complaining as this time the bath tap worked with no problems. The next hotel I stayed at was the lovely Temple Gate hotel. This was opulent and right next to Ennis town centre. This trip went without incident aside from having my room key card in my pocket with my mobile phone thus draining the power of the card but then that was my own fault! The next hotel was the river court hotel in Kilkenny in April. Now if I thought the last place was opulence this was double opulence. Dining in the bar I saw a couple next to me having a bottle of something out of an ice bucket. That gives you an idea of the usual customers you’d get in the hotel when they’re not desperate to flog rooms to common gardener asperger talkers like myself. My room overlooked Kilkenny castle and the food was good and the staff were friendly. I didn’t go for the breakfast option – too expensive – instead I went for a eight quid breakfast down the town the two days I was there. Then I stayed in Tralee my local town in May on my way back to Galway. Finding my room did not have a bath I made the request to be moved and got a room overlooking the street. Now I should note I’ve had sleep problems here before but out of financial necessity I thought I would give it another chance. I bedded down for the night it was a bank holiday and just as I was trying to get off to sleep in my hospital bed like overlaid bed, it got really noisy as there were a load of drunk people out on the street running around like there were in a adventure playground hooting and hallowing. Then there was the noise of cabs pulling off from the rank. At 5: am the last cab pulled away from the Denny Street rank but it was getting light then – result one very sleep deprived aspie. Anyway I got on the move as soon as I could and as soon as bank holiday public transport permitted. In Galway I was back at my whistling toilet hotel but it did not bother me as I was so tired. I just collapsed. I had used the public toilet facilities in the hotel so the toilet did not sing to me all night anyway. Then I came back down and did a talk in Ennis this time staying at a older hotel out the road a bit, the idea being that I was doing my talk at the meeting rooms attached to the hotel so this made sense. The room looked a bit like it was stuck somewhere between 1985 and 1995. The decor was a bit dated and the bed was missing a spring and you felt it when you turned in bed – it wasn’t me honest! But aside from that it served well for the talk and the beer was good afterwards so that helped me forget!! Then in mid may I spoke in Dublin and stayed at the Premier Inn in Swords, County Dublin. Being a Premier Inn they prided themselves on the good night guarantee. And I wasn’t disappointed. The food was good too and the staff were friendly so no complaints there! My next hotel stay was at the Ambassador Hotel in Cork in August – a very quiet hotel which should otherwise be buzzing with people but owing to the recession this is not the case. I had a nice balcony room here and good staff. There were only two downsides – one was the removal of the Jacuzzi from use but at least I had a whole gym to myself. The other being that the wifi for the laptop I had with me could only be accessed in the foyer. I also found out the hotel is due to be sold so lots of cutbacks but on the plus side it was a quiet getaway so I was happy! Then my next trip was to Belfast in October where I stayed at the Premier Inn Titanic Quarter and here I was to have an eventful time – I entered my room about half five having travelled most of the day I was tired but I could not escape the fact that I was having cold air blasted at me from the fan. I hit a button thinking it controlled the fan to turn it off but I was later to find out it was to do with the bathroom. I went down and asked and a receptionist who was doubling up on restaurant duty and on call. She accompanied me back up stairs and gave the fan a check via the computer downstairs to see it was running ok. She hit a button and it went off. 15 minutes later the cold air of Belfast started flowing in again and I went down again and she came back up again. I could tell it was not appreciated and she reaffirmed it was working fine. But if I felt so I could have a room transfer. I moved and then in the next room I managed to switch the thing off myself. It could have been my eccentricity through tiredness or it could have been them covering themselves but the trip was uneventful after that. My last hotel stay of 2013 occurred two weeks ago in a different hotel in my local town of Tralee. This time around I was a good bit away from the bright lights of town I was staying over for an Aspergers conference which went quite well as did the first night. The food was good the staff were nice but on the second night eventfulness decided to pay a nocturnal visit. I was lying in bed at 3:40 in the morning half awake having got up to go the toilet earlier but was on my way back to the land of nod when I heard a distant ringing from another room on my floor. I thought nothing of it then Ring Ring! The phone in my room rang. Half asleep I struggled round for the receiver picked it up – the line was dead. I dropped off again and told Reception in the morning. It turned out somebody had been dialling random numbers on the room to room phone. And it also transpired a 21st birthday had taken place that night.It didn’t take me long to put two and two together such is the nature of neuro-typical drink related behaviour, but an interesting anecdote none the less. In conclusion the reason for telling my stories of eventful hotel stays is to highlight the very real issues of having aspergers and being out in the big wide world and to inform on the real situations we can get into when let loose and what can be learned from them. I myself would rather have a few eventful experiences than a dozen uneventful ones where you learn nothing. These experiences come when you least expect them so its up to us to catch the curve ball – to use an American baseball expression – when its thrown at speed, and learn what we can from them. Maybe I should go on tour again to do the training.